On Tuesday I showed you my most-anticipated 2019 young adult releases. On Thursday I wrapped up 2018. On Saturday I reviewed two young adult books. 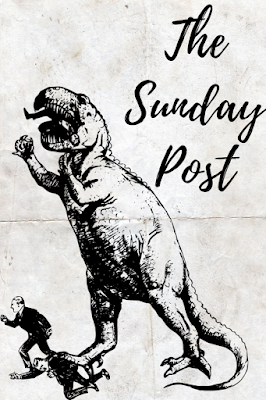 On Tuesday we talk about the awesome authors I discovered in 2018. On Thursday I announce my New Year’s resolutions (and you peer pressure me into completing them). Last week, I finished Daughter of Smoke and Bone by Laini Taylor. I hated the romance, but I loved everything else. It’s about a human girl who finds herself caught in a supernatural battle between angels and monsters. I love the world, and the legends, and most of the characters. If the melodramatic Twilight-style romance hadn’t been in there, this would have easily been a 5-star book for me. I’m looking forward to the next book in the series. Then I read The Foxhole Court by Nora Sakavic. Guys, I don’t understand the hype. This book is terrible. It’s about a group of psychopaths who play a fake sport. The made-up sport and the characters’ motivations didn’t make sense to me. The made-up mental illness and the “medicine” for it didn’t make sense to me. I just don’t understand anything about this book. Then I read The Doughnut Fix by Jessie Janowitz. I’m not allowed to talk about this novel because it’s a finalist for the Cybils Award, and I’m one of the judges. I’ll review the whole middlegrade shortlist after we decide who wins. Right now, I’m reading another finalist, The Orphan Band of Springdale by Anne Nesbet. I was a bad blog stalker last week. Most of my free time is going to reading the Cybils Award books. I’m a painfully slow reader. I may have to cut back on blogging a bit to finish the books on time. It was my sister’s birthday, so burritos and delicious chocolate cake happened. I failed at eating healthy (refer to #1 and #2 above), but I did well with exercising. I’m still struggling to exist without caffeine. My headache is mostly gone, but I’m tired all the time. New books. Many, many new books. My 2018 reading statistics post. It took several long nights to put this post together. I’m happy I got it done without caffeine. It's exciting that you're a judge for the Cybils Award. Good luck with all the reading. I think that might be too stressful for me...lol. I'll look forward to reading about the books after the awards. Oh, pizza sounds so good! I've given that up for now since I'm trying to lose weight, but I'm definitely not giving up my coffee! I hope you have a good week reading your books for judging. So far the Cybils reading isn’t too stressful. If I keep up the pace I’m reading now, I’ll finish it on time. I also need to lose weight, but giving up my favorite foods is hard! Oh man I totally DNFed The Foxhole Court . I had no idea WTF was going on. Glad I didn't miss much. Yay for pizza and burritos and cake. I start this week in trying to eat healthier. I hope it goes well. Now off to check out your stats post. Have a great week! I really should have DNFed. I was very confused the whole way through. Pizza is always needed and Cake. I can't live without coffee and caffeine. I have cut back a lot but I will never let it go. I just drink it in Coffee or Tea form. I love reading stats post and going to check out yours! Maybe one day I will do my own! Most of the physical symptoms of caffeine withdrawals are gone, but I still don’t like starting my day by drinking ice water. I’m excited to continue with the series. I need to find a cheap copy of the second book. The Foxhole Court sounds absolutely bizarre. I love how your first two "5 things" are food-related. :) Pizza and burritos and chocolate cake - yes, please. Good for you for not throwing in the towel with the caffeine thing. Man, that has to be hard. Haha, I really love food. Giving up caffeine hasn’t been pleasant. I miss it so much! Pizza will always make me happy. My husband is on a healthy eating kick lately, so I haven't had it in awhile :-( Good luck with the caffeine withdrawal! Instead of cutting out completely, I try to only have it like 3 times a week. All things in moderation! My brain doesn’t understand moderation. It likes to go at everything 1000%. It’s either all the caffeine or none of it. Wow, it must be amazing to actually be judging a book award? Does it feel really pressurised? So far I’m not feeling much pressure. We’ll see what happens when I get closer to deadlines. I hope you'll have a fantastic week! The romance was way too melodramatic for me. Lots of people have said the loved the second book, so I’m curious. Have a great week! And good luck with the caffeine withdrawl! I don’t think I’ve ever eaten goulash, but my mom has talked about making it. If she makes it, I’ll try it. Those are some of my favorite foods! How exciting that you're a judge in a literary contest! I haven't read the Daughter of Smoke and Bone... there's just so much hype around it that I've been holding off. The hype made me hold off on it, too. Luckily, it’s a pretty good book. Now AJ I think the way to your heart or at least to your happiness must go through food! LOL I have Daughter of Smoke and Bone on my shelf for ages !!! I will have to read it ..some day. Happy Sunday! Haha, definitely. Food is my third favorite thing in the world (after dogs and books). I have to admit that I've never heard about The Foxhole Court.I guess I missed the hype. I first heard about it on Twitter years ago. I haven’t seen it on many blogs, but I guess it has some rabid fans on social media. I'll pass on The Foxhole Court. Doesn't sound like something I'd want to read. Yay for pizza! I need to eat better, too. I'm going to make an effort starting tomorrow. Just got back from Sonoma and I ate a ton. Good luck with healthy eating! I’m trying hard, but I’m bad at it. Have fun with the judging of the Cybils Award. Sometimes my reading is quick and other times slow. It really depends on the genre, but if I was judging my reading would be slow too. I’m thinking harder than usual about each book, so that’s been slowing me down. Also, I’m just a really slow reader! My Kindle says I read at half the speed of an average person. Pizza always makes me happy. Especially when I am sick. Good luck with your duties as a judge! Thanks! Pizza makes me happy, too. It’s one of the world’s most perfect foods. Every time I think about kicking the caffeine habit, I get a headache and cave within just a few hours. I am weak and quite impressed by your dedication. Yay for pizza and birthday food. Have a great week! The headache was intense for a few days, but it’s gone now. I’m still tired, though, especially in the morning. Pizza always makes me happy. In fact we had it yesterday. Hope you have a great week! Sorry the nominations form didn’t work. I don’t know anything about the website part of the award. I’m just here to read the books. I FINALLY read The Foxhole Court just last week, and while I didn't hate it, it is a bit odd/confusing and it took me a little while to read. I'm curious to continue reading though. LOL I still need to share my New Year goals on the blog - hopefully later this week. I hope the next Foxhole book is better. I’m calling it quits after the first one. Good luck with the short list. I haven't heard of Foxhole Court. My weekly update. Good luck getting through the Cybils books! I'm sure it's a difficult task. It’s not too bad so far. I’m just not capable of reading fast. Ooh I love the dinosaur! And I'm kinda thinking of trying Laini Taylor's books. They look fun. Pizza, burritos and cake. That's like the perfect week. Thanks! The dinosaur graphic came out better than I expected. I’m excited to read more Laini Taylor books. The world-building is so good! It’s the best I’ve seen in a YA fantasy book in a long time. I just can't go near YA books with dumb Twilight romances. I'm just sick of reading them. This is why I'm very selective in my YA now. Same here. I don’t like books that have insta-love, and then nonstop angst and melodrama. Everyone just needs to calm down! Healthy eating doesn't matter when there are birthdays to celebrate! How fun to be a judge for the middle school book award. Sounds like a very worthy way to spend your reading time. And, pizza? Well, yay anytime! I love judging so far. I’ve discovered a bunch of books that I wouldn’t have read without the award. How cool you are a judge. That's awesome. I've seen that book on Hoopla and have to admit, I'm kind of drawn to the cover. I'm still stuck reading The Passage but have been working other books in between. Judging is really fun so far. Good luck with The Passage. I haven’t read that one. The Foxhole Court is new to me! I may have to check it out just because of the bizarre factor. If you read it, I hope you like it more than I did. I found it confusingly unrealistic. I've been trying to work on my book blog stalking -- I enjoy reading everyone's posting and seeing whats out there, but sometimes I just get so distracted. Same here. Keeping up with blogs is difficult. Some people post A LOT. Giving up caffeine is hard. I'm pulling for you. I always like to see the winners of the Cybil Awards. They got on my "must buy" list when I was a Media Specialist. Come see my week here. Happy reading! The Cybils people do seem to find excellent underhyped books. I’m happy to be helping out this year. It didn’t sound like my kind of book, but I thought I’d give it a try. Turns out, it REALLY wasn’t my kind of book. Sounds like you had a great reading week. I've been wanting to read Daughter of Smoke and Bone for a while now. I'm glad you like it so much. It was a pretty good book. I hope you like it, if you read it. Thanks! When life gets busy, blogging and reading are the first things to suffer. Maybe they want to replace the synopsis on GR with your's. LOL! I downloaded it for free, because of the hype, but I still haven't read it. Not sure how I feel after your assessment. 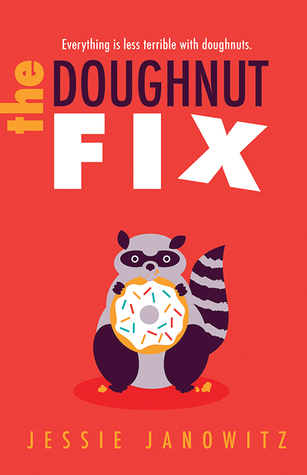 I have The Doughnut Fix on my TBR, because doughnuts and that cover is enough to get me to read it. Pizza, burritos, and chocolate cake -- I'm jealous. I love the cover of the doughnut book! Chubby raccoons with doughnuts are my aesthetic. I got The Foxhole Court for free, too. I would have been irritated if I paid for it. Good luck with getting all of the Cybils Award books read in time. That's a bummer about the romance in Laini Taylor's book. That one is on my list of books to read this year, so I'm curious as to how I'll react since I'm usually meh on romance anyway, lol. I hope you like it! It’s a really popular book, so lots of people must love the romance. Well good luck with the reading. I still want to read Laini Taylor; I own some of them. I’m really bad at moderation! I tend to go 1000% at everything. That’s bad when it comes to favorite foods. Ugh, I'm tired of Twilight type romances. Me too. So much melodrama! Ooh cake! I LOVE CAKE (and happy birthday to your sister!) I also reeeeally love Daughter of Smoke and Bone but don't remember being fussed about the romance either. 😂I need to reread though! I love cake, too! It’s one of my favorite foods. I hope the rest of the series is less romance-focused. I want to read about the world! Super proud of you for giving up caffeine! I've given up plenty of things in my life, but caffeine appears to be my weakest point. I'm in awe of everyone else who can kick it. Caffeine is my weakness, too. It makes me feel so happy! I know being an awards judge is sucking up your time, but its still so awesome your doing it. And don't feel bad about indulging in food for a while, especially when your good most of the time. Being an award judge is awesome so far! I’m having fun and reading good books. Haha one of my favorite aspects of The Daughter of Smoke and Bone was the romance, I love me some melodrama! I was a bad blog stalker too, I hope the Cybil Book Awards are going smoothly! I dislike the romances in most books, so I’m not surprised I had issues with this one. I’m excited to read the next book, though. Pizza and burritos sound like a perfect reason to not eat healthy. I am still in awe that you've been going caffeine free. I've been cutting back and I've had a headache and I'm so tired. I am the worse blog stalker. I'm currently working on blog hopping but I feel like I'm always behind. I hope you had a wonderful week and that you enjoy the books for the Cybils awards! I hadn't heard of The Foxhole Court but it doesn't sound like I'm missing much! Good luck finishing the books you're judging and have a good week! I've attempted Daughter of Smoke and Bone no less than five times (although it's been years since my last try), and I just cannot do it. It's just not for me. Happy reading! oh you read Daughter of Smoke and Bone! I LOVED IT! Totally agree with you! The romance didn't do it for me but the characters and the writing were so good! 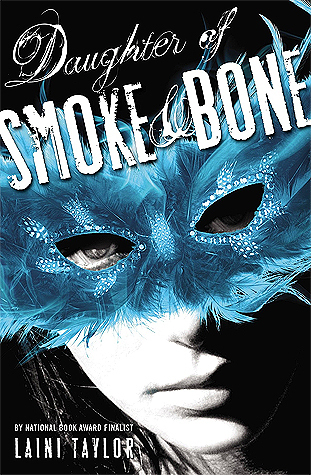 I read Smoke and Bone a few years ago and I did enjoy it, I don't remember all the details, but it was a good one. The Doughnut Fix looks cute! And happy birthday to your sister!